Most of you wanted more pumpkin, so here is another recipe. This one is savory and really good! 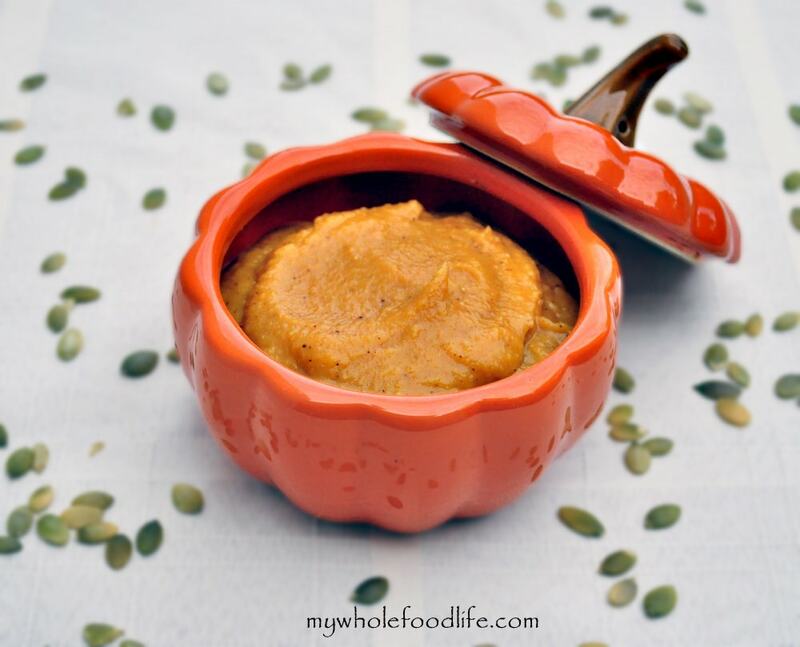 It’s kind of a pumpkin version of hummus made with different ingredients. This dip would be great with chips, crackers or veggies. Great for those holiday parties and a healthy alternative to traditional veggie dips. No added fats in here at all. 🙂 The flavors are very similar to those in my Smokey Roasted Chickpeas. It comes together in just minutes. If you enjoy savory pumpkin recipes, then you may also enjoy my Pumpkin Enchiladas. In a food processor or blender , combine all the ingredients until smooth. Serve immediately or refrigerate for later. This should last a couple weeks in the fridge and can even be frozen. This recipe makes about 1 1/2 cups dip. Enjoy! Great idea! I see so many sweet pumpkin dip recipes, but I'm more of a savory girl. And smoked paprika is a favorite spice of mine. Pinning for later! What do you use this dip with? Veggies? Crackers? Sounds good! Thanks! Yes veggies and crackers would be great with this. Chips too. Made this tonight because I had some leftover pumpkin. Starting cooking the beans at 9:30 pm. Just finished it up and put it in the fridge. Can't wait to try it tomorrow! Great ideas. Glad you liked it! These all sound amazing but I would like to know the nutritional content of these recipes. I wish they were listed. Is that possible? I am sorry I don't list them because I am not a dietician and they would never be exact. However, there are many sites that let you easily figure them out. www.caloriecount.com is one. Do you think chickpeas would work instead of white beans?